My Pick of the Week is The 5th Annual Inglewood Open Studios Group Show Opening Reception which happens this Saturday Nov 12 and Sunday Nov 13 from 1:00 pm to 6:00 pm. The event, hosted by Inglewood artists and nonprofit Inglewood Cultural Arts (ICA), will allow visitors to personally tour the studios of established and emerging artists working in drawing, painting, sculpture, mixed-media, photography, installation, and performance. Two historic public artworks in the City of Inglewood will be stops on the tour; The History of Transportation Mural by Helen Lundeberg and The Written Word Intaglio Tower by Tom Van Sant, both of which are located at the Civic Center in Inglewood on Manchester Blvd. SAVE the Date….this Wednesday November 16th…Come on out and celebrate my birthday with me…I will be playing at Dannys Venice (23 Windward) with singer/songwriter Geoffrey J. We will share the evening with some special guests….so mark your calendars. HAPPY HOUR is extended till 8:00 pm! 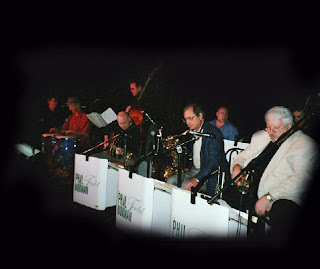 Catalina Bar & Grill has a CD release event for the Phil Norman Tentet at 8:00 pm. Catalina Bar & Grill provides a warm and inviting environment for its guests, while enjoying a superb meal and live entertainment by internationally known jazz artists. Enjoy a 5 week video/music series at 18th St….in conjunction with PST. Tonight’s event features actor, Strawn Bovee who discussed the first known narrative garage video produced by John Dorr. In 1979 EZTV’s founder John Dorr used an analog B&W bank surveillance camera to shoot the first known narrative garage-video feature. 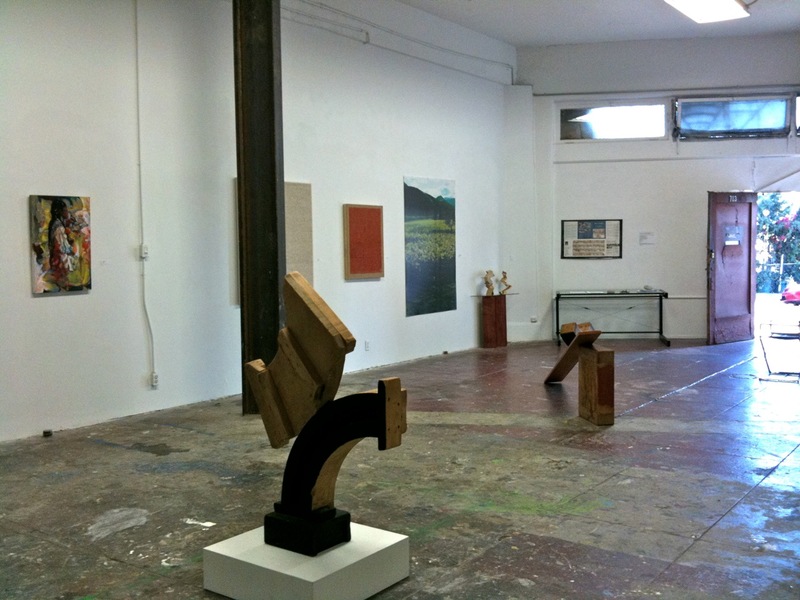 In 1982 he and a core group of artists opened the EZTV Video Gallery, LA’s first video production and exhibition space. Host and actor Strawn Bovee, who played Parker, will reflect upon Dorr’s process, the creative foment of the period and EZTV’s unique position in the Los Angeles art scene. Bovee will share short video clips from the video. 18th Street Arts is located at 1639 18th Street 90404. The event starts at 8:00 pm. 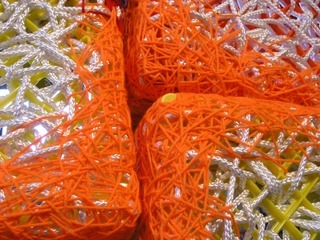 (310) 453-3711; http://www.18thstreet.org. Or at Dannys in Venice, enjoy an acoustic set as Suzy Williams struts her stuff at Dannys Venice, 23 Windward Ave between Speedway and Pacific Ave. 7:00 pm till 10:00 pm. 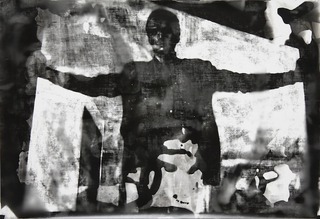 Ace Gallery, located at 9430 Wilshire Blvd., in Beverly Hills, 90212, presents artist David Amico from 7:00 pm till 9:00 m. This exhibition is inspired by the urban debris of Amico’s immediate environment: the Skid Row district of downtown Los Angeles. 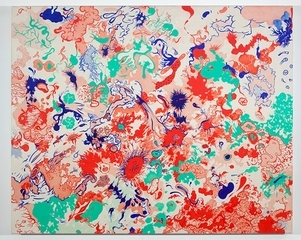 Regen Projects presents an exhibition of paintings, drawings, and collages by New York artist Sue Williams. 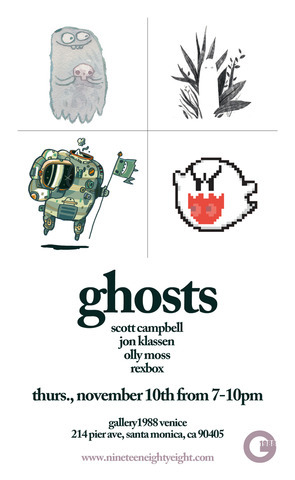 At Gallery 1988 Venice, enjoy a group show with artists, Scott Campbell, Olly Moss, Rexbox and Jon Klassen. Gallery 1988 Venice is located at 214 Pier Ave., Santa Monica (not Venice), CA 90405. 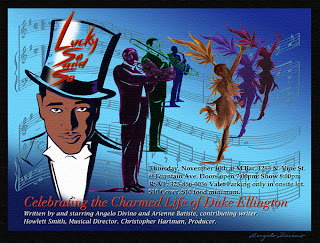 Or take in a musical journey of the fascinating Life of Duke Ellington. Entitled, "Lucky So and So," is written by and starring Angelo Divino and Arienne Batiste, contributing writer. Howlett Smith, Arranger and Musical Director. Christopher Hartman, producer. M Bar, 1253 N. Vine St. @ Fountain Ave. Doors open at 7:30pm; Showtime- 8:00pm; $10.00 cover, $10 food or drink minimum. RSVP: 323-856-0036. Ltd los angeles in Hollywood has an opening reception for a group show...See image from artist, Christopher Michlig Reception runs from 7:00 pm - 9:00 pm. 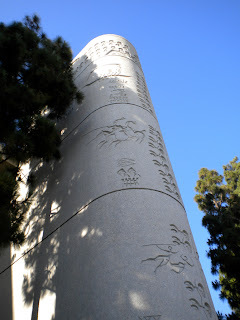 Ltd los angeles is located at 7561 Sunset Blvd, LA 90046; 323.378.6842; http://www.ltdlosangeles.com. 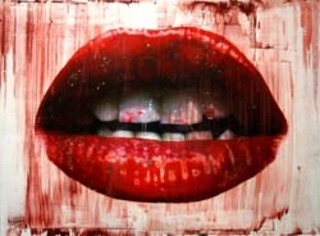 Shana Nys Dambrot curates a new exhibition entitled Consumptive at Garboushian Gallery from 7:00 pm till 9:00 pm. 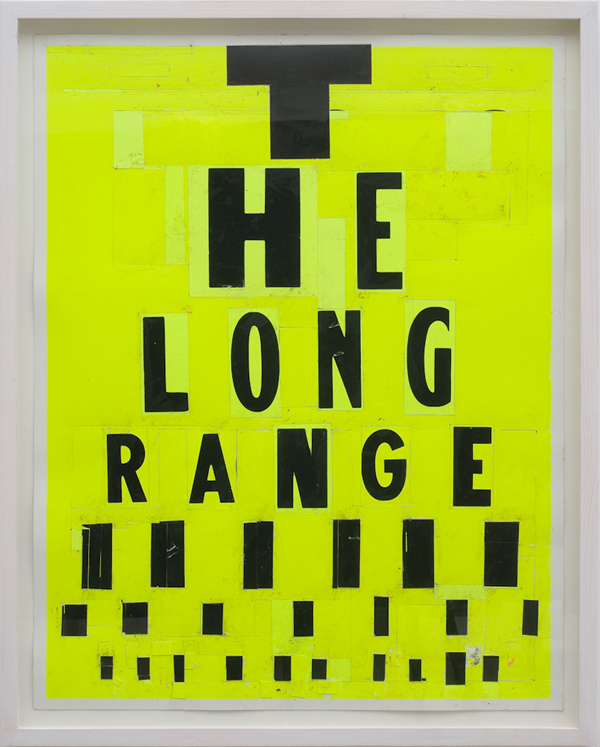 This group show features works by York Chang, David LaChapelle, Alexandria Lee, Swinda Reichelt, Rick Robinson, Gina Stepaniuk, Jennifer Vanderpool, Grant Vetter, Casey Lee Wanlass, Peter Wu and Austin Young. 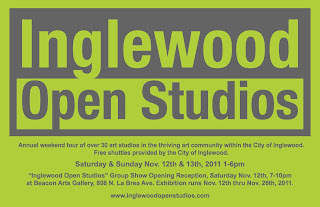 Fine Artists in Inglewood will open their studios to the public the weekend of November 12-13, 2011 from 1:00pm to 6:00pm during the fifth annual Inglewood Open Studios tour. The event, hosted by Inglewood artists and nonprofit Inglewood Cultural Arts (ICA), will allow visitors to personally tour the studios of established and emerging artists working in drawing, painting, sculpture, mixed-media, photography, installation, and performance. 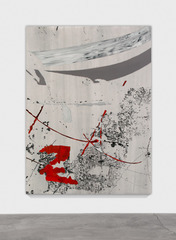 In addition to the tour, Inglewood Open Studios also features a group show, which includes work by all participating tour artists, at the gallery within the Beacon Arts Building from Saturday, November 12 through Saturday, November 26, 2011 with an opening reception for the exhibit on November 12, 7:00-10:00pm. The group show will be on view for 2 weeks during normal business hours: Thursday to Saturday 1:00pm to 6:00pm and Sunday 1:00-4:00pm. 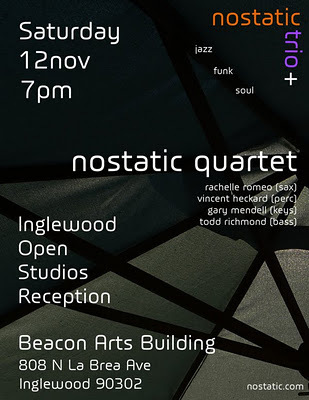 Beacon Arts Building 310-419-4077 is located at 808 N. La Brea Ave., Inglewood, CA 90302. The City of Inglewood will provide free shuttle bus service, which will run in a continuous loop, to the attending public on both Open Studios tour days. Printed maps with Open Studios location details are available online and will be at each artist’s studio and at the gallery on both tour days. 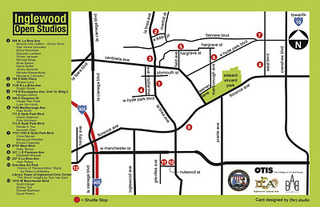 For additional information on Inglewood Open Studios, including the printable tour map, please visit Inglewood Open Studios and Facebook. Participating Artists in the 2011 Inglewood Open Studios are: Gwinn Alderson, Brian Biedul, Alexis Bolter, Donald Bustraan, Marylene Camacho, Ericka Chapman, Renée A. Fox, GeoVanna Gonzalez, Morgan Gehris, Scott Greiger, Winter Jenssen, Ellina Kevorkian, Deborah Lambert, Sharon Levy, Michael Maas, Michael Massenburg, Elizabeth Mauceli, Chris Mercier, Kenneth H. Ober, David Peters, Jhoiey Ramirez, Joan Robey, Stan Smith, Dustin Shuler, Holly Tempo, Shirley Tse, Ginger Van Hook, Luke Van Hook, MonaLisa Whitaker, Pola Wickham. 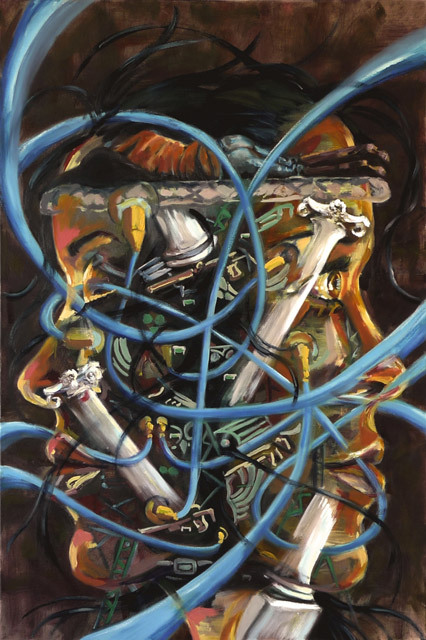 Copro Gallery (T-5) features a group show with artists such as Marshall Arisman, Dave Cooper, Caitlin Hackett, Alyssa Monks, Billy Norrby, Elizabeth Winnel (see image), Nicola Verlato and more. BG Gallery (Bleicher/Golightly), 1431 Ocean Avenue, Santa Monica, 90401 presents a collection of works by the German American painter Allois. The work deals with dislocation and estrangement, at times employing decidedly cute characters in innocently grotesque or strange situations. Allois’ paintings portray characters that visually embody states of mind, from the mischievous to the manic. 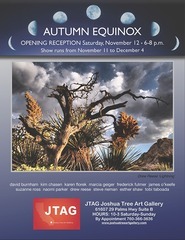 Or, take a trip today to Joshua Tree for the Autumn Equinox Show at JTAG from 6:00 pm till 8:00 pm. Enjoy a beautiful day or spend the evening. 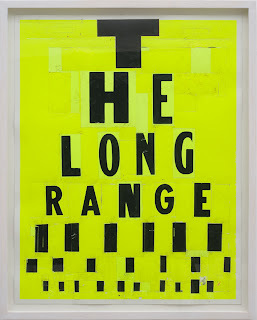 This exhibition is curated by Frederick Fulmer. 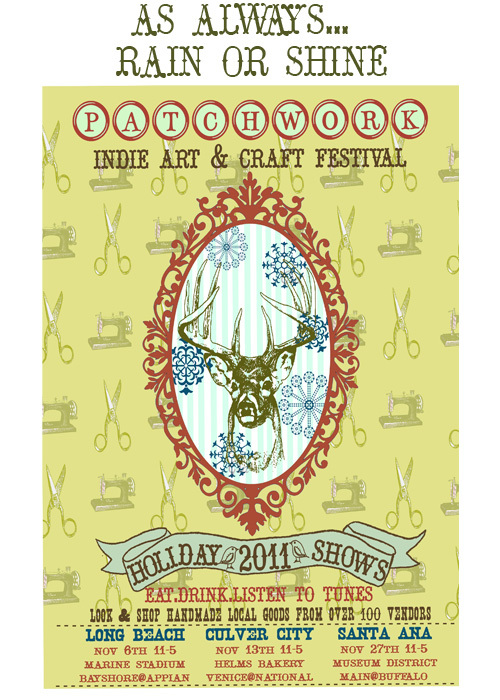 Today at Helms Bakery (Venice Blvd and National) enjoy patchwork indie arts & festival. 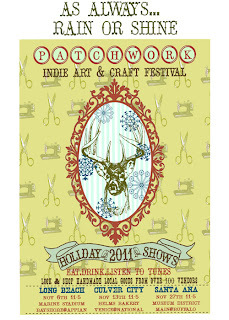 Over 90 local independent artists, crafters and designers come together in an outdoor setting. Local cafes & restaurant booths will also participate, as well as clothing for men, women & kids, handbags, accessories, art, ceramics, home goods, garden finds, plushies, jewelry, paper goods, edible treats, pet gear, crochet & knit goods, kits & patterns, bath & body goodies & more. 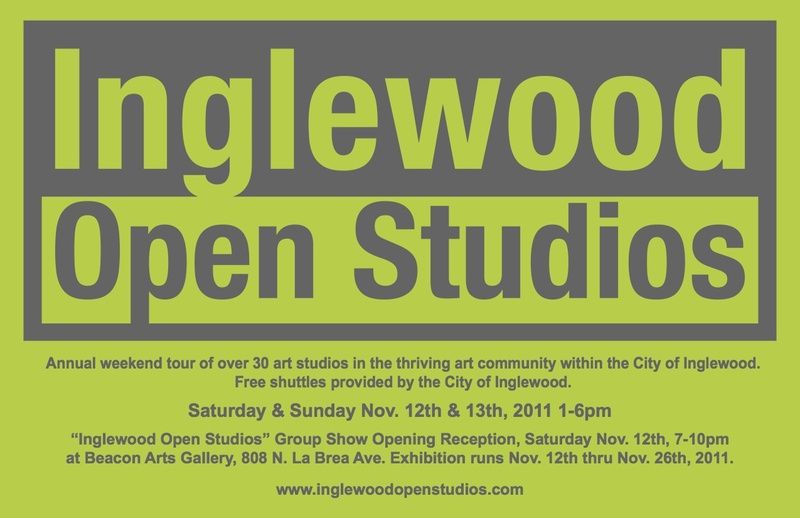 Fine Artists in Inglewood will open their studios to the public the weekend of November 12-13, 2011 from 1:00pm to 6:00pm during the fifth annual Inglewood Open Studios tour.